Got something on your mind? Need someone impartial to talk to? 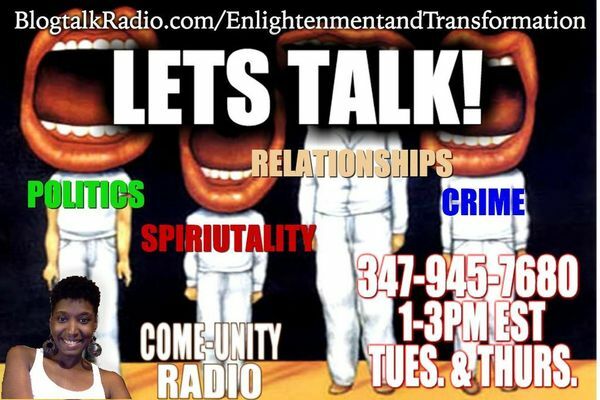 Call in to Come-Unity radio broadcast. Join KM of Saduluhouse.com and ANU Nation from 1-3PM EST every Tuesday and Thursday to talk about whatever you like! This show serves to provide a come-unity space to talk about the things you may not get the chance to express in other mediums. Come and share your thoughts with the ever expanding ANU Come-Unity. The number to call is (347) 945-7680.